In February 2015, I first raised the idea that we were entering the Post-Showrooming Era and that sales would be hit by permanent long term ‘Non-Consumption’ – a new and very specific type of low demand/falling sales. I expanded on this in June 2015 with this article, where I suggested “withdrawal of service” was a key issue. Fast forward 18 months and some of the biggest companies in the industry have announced dramatic falls in sales. In this article I want to outline why I believe the biggest companies are paying the highest price for the breakdown of Trust within the Bicycle Industry. 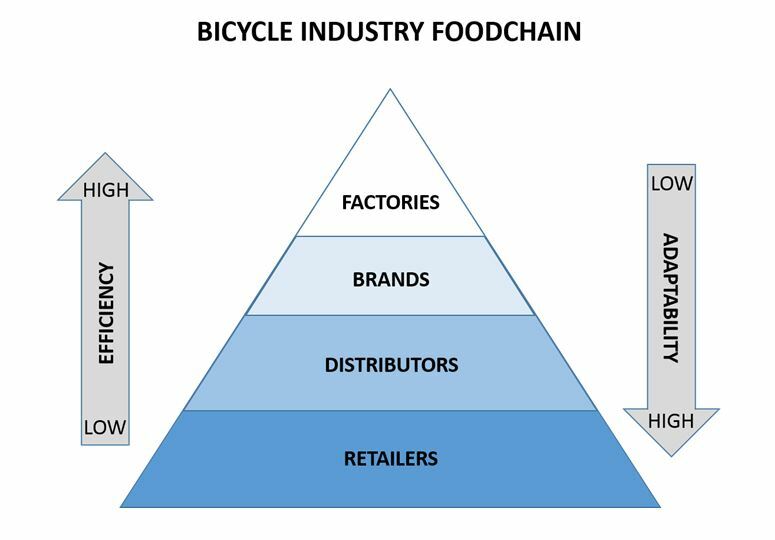 The Bicycle Industry – an Intelligent Foodchain. In 1945 a chemical known as DDT was made available to farmers in the USA and Northern Europe. It was a cheap and effective insecticide that was used extensively. However, there was a problem. 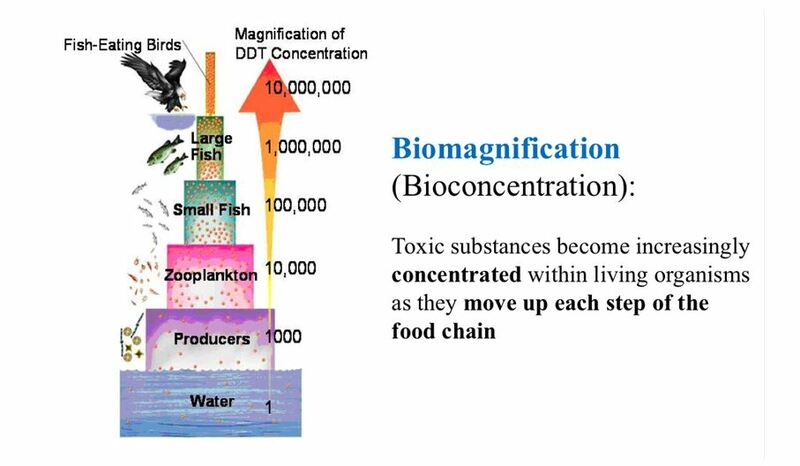 The chemical built up in the food chain causing each layer of the food chain to become more acutely exposed to the toxin. Animals at the top of the food chain, particularly birds of prey, saw huge population declines. Although the problem was first identified in 1962, it took a further 10 years for the substance to be banned from widespread agricultural usage. Now at this point, you might be thinking, what has this got to do with the Bicycle Industry? 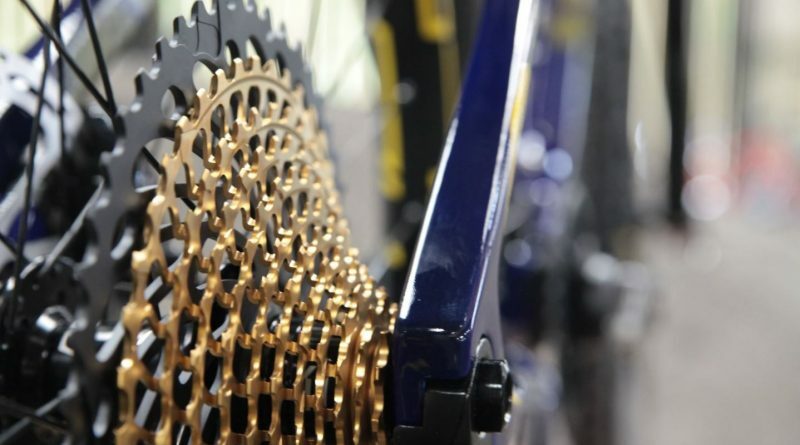 The Bicycle Industry supply chain works in a very similar way to a food chain. Money comes in at the bottom of the chain via the Retailer and gradually finds its way to the top. And if the money stops coming in at the bottom, eventually, that pain is felt at the top. If a specific category declines, the pain becomes magnified / concentrated / cumulative the further up the chain you go. Here’s an example. High St Retailers find they can’t sell (say) cycle computers any more. They take out the display and starts selling cakes and iced coffee instead. The value is a bit lower, but cycle computers were never a big part of their business, so let’s say they lose 1% of their turnover net. They adapt. The distributor who used to sell the cycle computers in volume, is now selling iced coffee, they adapted too, let’s say they lose 2% net. Now, the Brand, they only have cycle computers and two other products, they lost 25% of their revenue. And the factory that specialises only in computers, well they might be down 50%. Unless of course all those lost High St sales are being made back on the web? Anecdotal evidence suggests not. The toxin in the bicycle industry food chain could be defined as “a lack of sales due to a lack of Trust”. This “Mis-trust/DDT” is a result of the Reversal of Trust. It used to be the case back in the 80s and 90s that people trusted their local shopkeeper and regarded mail order as something risky/too good to be true. I remember my Dad driving me 50 miles to buy a pair of Skyways for £45 I’d seen in the small ads of BMX Action Bike (SSP £60 back in the day). He just refused to believe the product would turn up if he sent a cheque in the post…we got there, it was for real, we bought them. The Internet, the distance selling regulations, the professionalism of the new breed of web companies, peer reviews, forums and next day deliveries changed all that. Consumers make judgements and generalisations; “If you are more expensive on this, you might be being dis-honest on that”. Their “Belief Stones” have been re-written and if you want to know why that’s such a big deal, read this. It undermines every type of sale in store. I’ve stood in hundreds of stores listening to shop staff and owners trying to explain to a consumer why a full service really is a good idea or yes, those rear wheel bearings really are shot. You can hear the Mis-Trust in the consumer’s voices, see it in their body language. And of the 600 stores I’ve visited in 10 years on the road, I don’t think I’ve ever seen or over heard something where I thought the shop wasn’t 100% genuine. For many stores, already having lost the lion’s share of their P&A and often giving discounts on bikes, the workshop was a last line of defence. Of course they dug their heels in when consumers started challenging them to price match on repair parts. And of course that has made the whole Trust thing worse. Now there is one critical and fundamental difference between the animal food chain and this one. This food chain is Intelligent. If at any stage a “toxin” is detected, that part of the chain can choose to stop consuming it. This means the chain will adapt more quickly at the bottom than at the top. You may think this article (and others I’ve written) is an implied criticism of online retailers. Let me be clear, it isn’t. The UK leads the world with the most professional, well organised, customer focused, commercial online businesses you can find. That they exist and that they exist and flourish here in the UK is a natural and expected commercial reality. The internet (and the internet retailer) is a competitive force. If Wiggle/CRC were not the biggest then someone else would be – the internet favours scale and efficiency (Google/Apple/Amazon). And if the internet hadn’t have come along, then it would be just another competitive force instead. Remember how big call centres or out-of-town shopping centres were in the 90s? What I am saying is that many brands have failed to understand and address the key issues raised by the transfer of sales to the internet. This is not a criticism and it isn’t surprising – it’s the first time this has happened in human history. We are all running to catch up. Non-consumption – the fall in aggregate demand and the undermining of Trust in the traditional High St Retailer is a new phenomenon. Internet stores may be the most Efficient way to service Demand, but they don’t appear to be as Effective in creating Demand in the first place. That’s where Brands may need to do more. And it may not be unique to bike trade. In case you hadn’t noticed, we haven’t really recovered from the deepest slump since the 30s and traditional monetarist Economics (7 years of record low interest rates) has done nothing to solve the problem. Looks like a flat line to me. 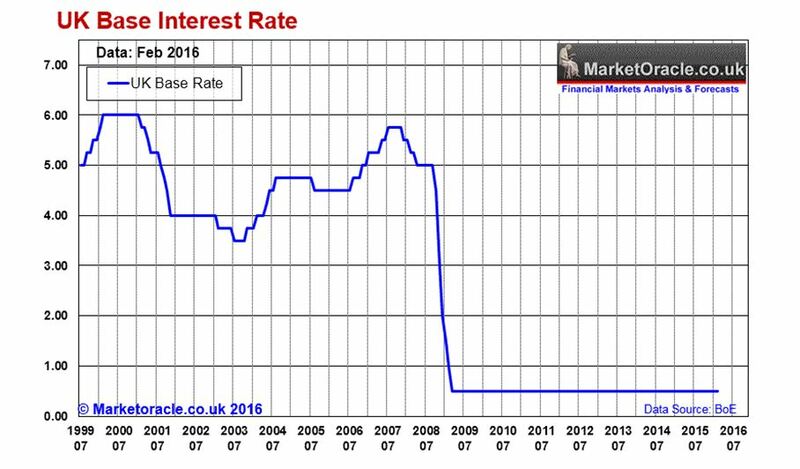 In Macro-Economic terms, John Maynard Keynes likens low interest rates to ‘pushing on a string’. Being trained in my early (pre-bike trade) career as an Economist, I think that analogy is possibly applicable on a Micro-economic basis. It doesn’t matter how cheap you make something online, if the consumer doesn’t understand it, or have a clue that he needs it in the first place, he isn’t going to buy it. This is the key thing that senior execs just don’t get. People much more intelligent and successful than me say things like “surely if it’s cheaper you just sell more”. Well, yes according to classical Economics and the theory of Price Elasticity of Demand. At $10 you sell 60 units but at $5 you sell 100 units. The lower the price, the more you sell. Simple yes? In other words, if you lowered the price of cast iron cooking pots in 1776, it’s a dead cert you’d sell more cooking pots. But if you lower the price of a ceramic bottom bracket in 2016 I guess the answer is it depends on the way you lower the price. If you choose the last route, by knowingly or unknowingly allowing product to go out via some form of discount channel – well that could go either way, Bargain hunting consumers might say, yippee, cheap ceramic BBs, let’s buy them! Or, they may never know they exist in the first place – their local mechanic certainly isn’t going to tell them they need one. Can a brand create as much demand for a product as their stores can? And what if this becomes commonplace? In addition, much of classical Economics has been undermined by the more recent field of research called Neuro-economics, this deals with the real world and how real people make spending decisions. They are not always Rational. In other words, they might need a new cassette, but if they don’t Trust the shopkeeper who recommends it, they may not buy one at all. 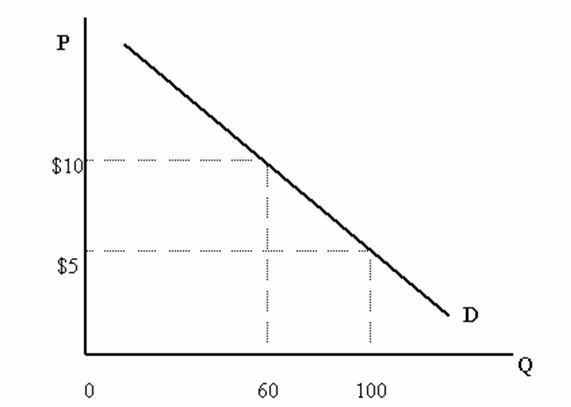 A “sub-optimal Utility” in the words of the Economists, nobody wins in our language. In fact, I had an email along these lines from somebody quite senior at one of the group-set manufacturers after this previous article. SRAM – Down 20%. Job Losses. Top of the chain, lots of pain. Now okay, each of these companies has its own issues and unique challenges. And some have very different distribution policies to others. But doesn’t this at least suggest that something fundamental and widespread is afoot? The effects of the Post-Showrooming Era are now being felt at the top? What are we going to see stores do? In respect of High St Store closures, my gut feeling is we will lose around 5% in the UK (net). 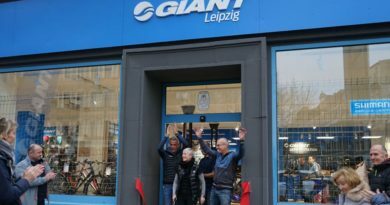 In many cases a large traditional bike shop will close and be replaced by a smaller competitor or new start. There are also many stores who “can’t close”. Unlike Neil Armitage who wrote this heart felt piece they may have been in the bike trade forever and not have a fall back career such as Quantity Surveying. They may gradually adapt into smaller more service focused units, but are unlikely to close completely. Again, the aggregate pain from this will be felt higher up the food chain. We also have to remember that if a store closes, some of its business will go to other local stores, making their business stronger. The real worry is how many areas will end up without a “proper bike shop” altogether. What are we going to see brands do? Life is not like the movies. I’m not going to get a call from any of the senior execs in the companies I’ve been talking about asking me for answers. And even if they did call, I don’t have any. There is quite possibly no solution to this. Maybe lower consumption is a permanent thing now. Given the state of the planet, maybe that’s what we are supposed to be doing. If you haven’t already reconciled yourself to that truth (you believe your sales could and should be higher), I can make only one recommendation to a big brand. Go back to the shop-floor and spend a week in a shop. Not an hour chatting to the owner. A week, a full working week. Try to sell someone the latest bike with the latest group-set. Try persuading a consumer to upgrade his forks. 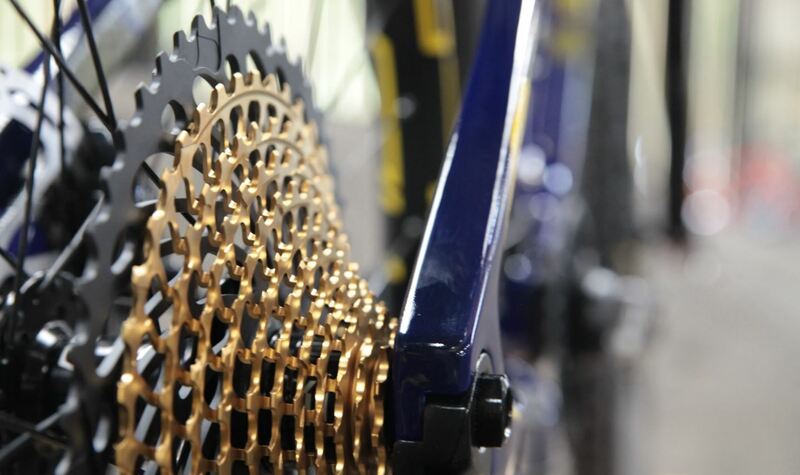 Book a service bike in and tell a consumer he really needs a new cassette, chain and jockey wheels. See how many sales slip through your fingers. See how it feels. That might be a first step down the road to an answer. To read John’s last article, titled “10 ways to design customer engagement into your store”, click here. You may also enjoy CyclingIndustry.News regular Jay Townley’s regular contributions. Like the opinion and analysis on cyclingindustry.news? You can sign up for notifications here. 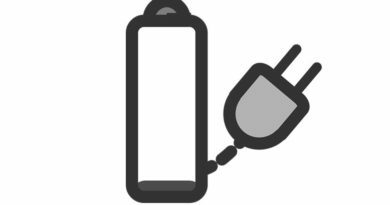 Is a brand neutral charging standard on the horizon for the electric bike market? 27 April, 2017 Mark Sutton Comments Off on Is a brand neutral charging standard on the horizon for the electric bike market? 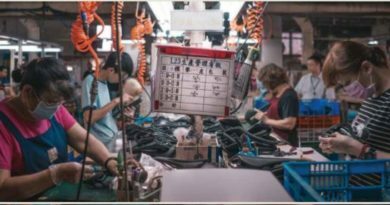 12 December, 2018 Hayley Everett Comments Off on Focus: Taichung as a trendsetter for the bike industry?